Here at Saren Engineering we manufacture a range of branded buckle-type cable clips. Buckle Clips have been used for managing electrical cables since the first time electricity was generated by Michael Faraday. These products are designed for both light and heavy duty electrical wiring, fastening applications and flexible water or air pipes fastening. 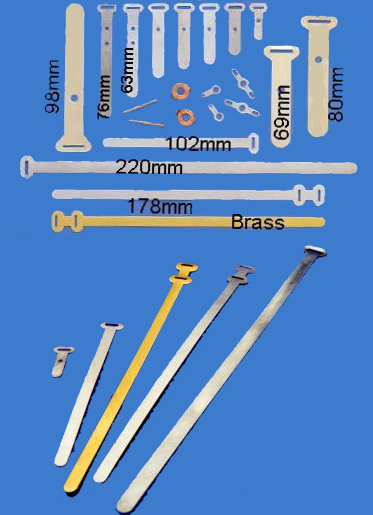 A range of sizes are available for your electrical wiring fastening applications, from 25mm - 220mm.